River Explorers arrangements are extremely thoughtful and somehow are more special than other agencies. We felt like VIP everywhere in Peru. Arriving in the vibrant Peruvian capital of Lima, you will be transferred to your hotel by our local River Explorers representative. Have us organize an activity for you or enjoy a free day roaming the bustling streets, relaxing in the beautiful parks, then taking in a sunset over the Pacific. Your first taste of Peru will awaken your senses. Spend a free day experiencing Lima’s culture, colonial architecture, and museums. Walk through the vibrant neighborhood of Barranco, a cool district with stylish art galleries, charming cafes and a thriving night life or Miraflores, great for shopping and feeling the Pacific Ocean breeze. Food lovers must indulge in Peruvian cuisine as Lima has won World Travel Awards Best South American culinary destination for 5 consecutive years. After lunch we bus along the Pacific coast from Lima to Paracas. 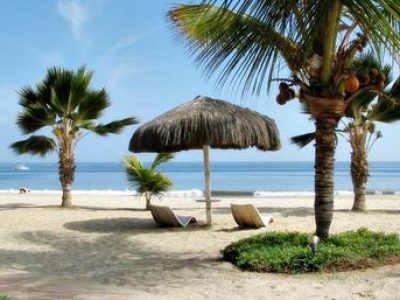 The 3 ½ journey offers exciting dry, desert-like landscapes together with small villages on one side and the Pacific Ocean on the other. After checking into the hotel, take a leisurely stroll and enjoy an evening meal in the small port town of Paracas. After breakfast you are driven to the harbor where a boat will take you to the Ballestas Islands, known as Peru’s Mini Galapagos. Although we cannot walk on the this nature reserve, the 2 hour excursion is filled with amazing sights. Witness the 150-meter high Geoglyph that looks like a three-arm candlestick drawn into the side of a hill, hear the roar from the sea lions, avoid the poop from the Peruvian Boobies and Pelicans and pull out your binoculars to see the cute Humboldt Penguins. If you are lucky, you may even see dolphins swimming and playing alongside the boat. Back in Paracas, we pack our bags and checkout as we embark on our afternoon adventure to a pisco winery. Here you will get an insight into how pisco is produced and to also sample an authentic pisco sour — distilled alcohol made from grapes, a strong Peruvian drink that is often mixed with lime juice, egg white and sugar. Slightly tipsy, we continue to Huacachina, a desert oasis situated idyllically around a palm tree dotted lagoon. Walk the surrounding sand dunes, jump into an adrenaline-pumping dune buggy or surf the dunes on a sand-board. This unforgettable desert experience will sure to thrill. In the late afternoon we bus to Nazca. Transfer from the bus station to hotel then enjoy a free evening in Nazca. After breakfast, you will be picked up from your hotel and driven to the Nazca airport for a once in a lifetime, thrilling 30 minute flight over the Nazca Lines. Hundreds of straight lines, geometric shapes and 70 human and animal figures created over 2000 years ago span the Nazca Desert. Enjoy the phenomenal views as you soar above the famous hummingbird, etched with one continuous line, a wingspan of 216 feet. These geoglyphs remain perfectly intact do to the dry, windless climate. What’s the purpose behind the Nazca Lines? Astronomical calendar or religious spiritual function? No one knows, these Nazca lines remain an archaeological mystery. Back on solid ground, it’s only a 30 km drive to the Chauchilla Cemetery. Established over 1500 years ago, but only recently discovered in the 1920s, this necropolis houses the mummified remains of the Nazca people. Twelve excavated graves show preserved bodies, with hair and skin still intact and their clothes enveloping their bones. After dinner, you will board the night bus to Arequipa. After an early morning pick up at the bus terminal, you’ll arrive at your hotel just in time for breakfast. Arequipa, known for its white volcanic stone built buildings, is lovingly nicknamed the White City. Enjoy a free day perusing Arequipa. Grab a juice and snack from the lively Mercado San Camilo, then people watch in the Plaza de Armas. Be sure to visit the Santa Catalina Monastery. Built in 1580, this monastery consists of 100 rooms, three cloisters and a church. Freely roam absorbing the spiritual, peaceful atmosphere or hire a guide that delves into monastic life through artifacts, furniture and paintings. After breakfast, your guide will pick you up for the scenic mountain drive north of Arequipa to Colca Canyon. Have your camera ready for the herds of alpacas, llamas, guanaco and vicuñas that dot the pastures. After a quick stop at the top of the mountain pass to breathe in the crisp air, we head to Chivay, a small town in the heart of the Colca Valley. Colca Canyon is considered the world’s deepest canyon — twice as deep as the Grand Canyon in North America. This impressive gorge follows the Río Colca, with agricultural terraces that are still in use today. After enjoy a delicious lunch in Chivay, check into your hotel, then spend the rest of the day exploring the small town or relax in La Calera Hot Springs with beautiful views of the surrounding hillsides. Meals Included: 1 breakfast – 1 lunch. Today we drive to La Cruz del Condor, a popular lookout point in the Colca Canyon. At 1,200 meters above the river bed, spot the majestic condors swoosh through the depths of the canyon. Condors, the largest flying bird, is the national symbol of Peru and are represented on ceramics, textile and statues. Shamans believe that upon a person’s death, condors help a person’s soul travel to the next world. After watching the splendour of the condors, we lunch in Chivay then board a 6 hour tourist bus towards Puno, the highest stop on our adventure. The drive is breathtakingly beautiful with lakes and deep blue lagoons, charming Andean villages and as always herds of alpacas, llamas and guanacos. After settling into the hotel, a River Explorers partner will brief you on the following days activities on Lake Titicaca. Begin your day with an early breakfast before your adventure on Lake Titicaca the second largest lake in South America and the highest navigable lake in the world at 3,800 meters. We bypass the typical tourist stops to take you places that show an authentic picture of how life on Lake Titicaca truly is. First stop is on Taquile Island, where we wander along pre-Inca trails, while enjoying the beautiful landscapes of agricultural terraces, and small thatched roof houses. We visit with local families who will demonstrate old weaving traditions dating back to Inca, Pukara, and Colla civilizations. The tour continues to Capachica Peninsula, for a traditional lunch of meat, fish and potatoes cooked in a “furnace” in the ground. Be ready to perform a ritual, in which we thank both God (the Christian) and Pachamama (Mother Earth) for the food we are about to eat. 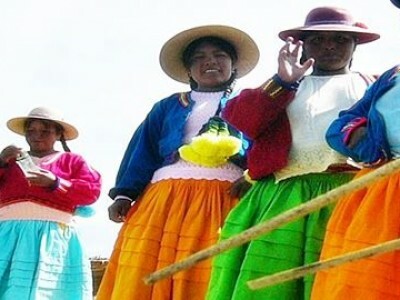 The last stop is Uros Island, Lake Titicaca’s famous floating island made solely out of reeds. Here we learn how they made this remarkable island, and for those interested, take a quick cruise in a traditional totora boat that is very characteristic of Lake Titicaca. We return to Puno in the late afternoon where you can relax for the rest of the day. After breakfast, we depart by bus to Cusco, for a six hour guided tour with stopovers. The bus journey traverses through the stunning Andes down into the Sacred Valley of Cusco. At the Cusco bus terminal you will be greeted and transferred to your hotel where our local guide will provide information on a variety of activities in the ancient capital of the Inca Empire. The afternoon is yours to explore. Admire the stunning Cathedral of Santo Domingo, buy artisan products in the San Blas district, taste Peruvian delicacies at the San Pedro Market or hike to Cristo Blanco for phenomenal views of Cusco. There are plenty of activities to keep you busy in Cusco. Spend a free day visiting Cusco’s fascinating museums, hike or taxi to the Inca ruins of Sacsayhuaman and Tambomachayto or take a guided 3-hour city tour to learn the culture and history of Cusco. Optional Activities: City tour is must trip you need to do, mountain biking, river rafting, Mercado de San Pedro. Briefing about the next days activities: 18:30 at your hotel. After an early breakfast we depart for a scenic 45 minute drive to the Sacred Valley. First stop is Chinchero, a small town known for its colonial church, agricultural terraces (Andenes) and its skilled weavers. We’ll visit a women’s cooperative weaving center where we learn the stages of the traditional weaving process and have the opportunity to purchase textiles which support their families. After, we drive to Maras and Moray where your guide will explain the unique circular agricultural terraces. These mysterious terraces have twelve different micro-climates — temperatures can vary as much as 15°C between the top and bottom levels. Picnic lunch will be served by our cook in specific spot with impressive views of the Mountains. We continue on following a narrow, winding dirt road to the Salinas de Maras. Unbelievable vistas of breathtaking mixture of browns and pinks tans are part of the ancient salt ponds that are still in use today. We drive to Ollantaytambo station and take the train to Aguas Calientes (also called Machu Picchu City), a train ride that takes about 1 hour and 45 minutes. At the train station we are picked up and brought to our hotel and the evening can be enjoyed on its own in Aguas Calientes. Accommodation: Hotel in Aguas Calientes. After an early breakfast we embark on the 25 minute bus ride to the “Lost City of the Incas,” Machu Picchu. Best to hire a guide who will explain the history of this UNESCO world heritage site. Marvel as the sun casts its rays over the intricate network of buildings, plazas, terraces and water canals. The views of the lush jungle vegetation strew stops peaks, to the soft sounds of the Urubamba River below, you will have to pinch yourself that you truly are here. An optional excursion is the climb to the Huayna Picchu peak with unobstructed views of Machu Picchu below. As access to Huayna Picchu is limited (only 400 people a day), you must purchase tickets in advance. In the early afternoon we bus to Aguas Calientes for lunch before we travel back to Ollantaytambo. Although a small place, Ollantaytambo is a true Inca village with authentic Inca walls and original Inca water channels that traverses the streets. Above the town stands an imposing fort that includes a sun temple, and many details of these ancient place suggest precisely that the place was meant as a ceremonial and religious place – rather than military. Ollantaytambo is the starting point for the “classic” 4-days long Inca trail-trek to Machu Picchu. Our last stop on the Sacred Valley Tour, we drive along winding roads through villages, corn and potatoes fields to Pisaq, a colonial village perched high on the hill. Surrounded by agricultural terraces with breathtaking views of the valley, the Incas built Pisaq for military, agriculture and religious purposes. Your guide will take you on a hike around the complex and explain the features of these incredible ruins. After a great day we drive to Cusco for our last night on this unforgettable holidays tour of Peru. Enjoy the evening reminiscing about your Peruvian adventure over a lovely dinner at Cusco’s beautiful Plaza de Armas. Transfer to airport and flight to Lima and then flight home. If your flight departs late in the evening, we can organize a city tour or give you some tips of where to shop in Lima. We can also arrange lunch or other tours. please ask for more information. Meals Included: All breakfast, 6 lunch, 2 dinners. Peruvian Food is incredibly diverse. Each region and even some cities has their own specialties and dishes. In this holydays in peru tour, we will make sure that you’ll try the best of our food. Nazca Lines: Fly and guide tours over Nazca lines. 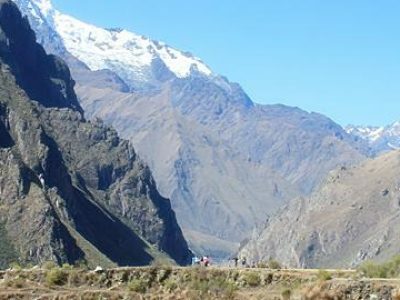 Colca canyon: Guided tour, private transport. Machu Picchu: 2 hours guided tour around Machu Picchu. Huacachina Dessert tours: Available to purchase, Buggy tour $40, tours around the dunes, $ 35, sand surfing $35. Hotel and meals during the days that passengers want to stay in Cusco, Puno or any of the cities, instead of continuing on with the trip. City tour or any other activities not mention in the above tour description. Weather can be different in Peru because the Andean mountains and the rain forest, we recommend to bring some warm clothes specially if your holidays take place during May to September, the early mornings and nights in Cusco and Puno can be very cold. Any other items that you wish to pack are at your own discretion however you should attempt to comply with the suggested luggage weight limit. Binoculars, photo or video camera, cover for backpacks, fleece top, windproof/waterproof jacket, small towel and swim wear, 4 shirts/t-shirts, fleece top, sun hat, 1 pair of shorts, 2 pairs of long trousers, 1 pair hiking pants/track pants, hiking boots/ sturdy walking shoes, sport sandals, sun block, sunglasses, watch or alarm clock, flashlight. Refillable water bottle and water purification tablets – No plastic water bottles (from bottled water you can purchase at a supermarket). Hard plastic bottles sold on camping stores are OK.
For more info about this Holidays in Peru tour check our link Peru Travel Info posted to your left hand side. Our trip prices for the Holidays in Peru are based on double-occupancy hotel rooms and lodges. Solo travelers: If you are a solo traveler and wish to share a room, , we’ll help you find a same-gender roommate if one is available; however, there are 3, 5, 7, etc in the group and no extra person to share a room, , we’ll give you a single room at no additional cost. Your own private room: If you wish to have your own private room, you will need to pay extra to cover the expenses of the room. 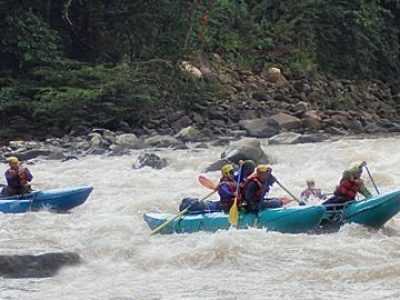 All the services in this adventure holidays Peru tour, including food, buses and hotels are good quality, safe and clean. The hotels and hostels are very nice and always located in safe places in all the cities that you will visit. La Casa de mi Abuela Arequipa. Want a better hotel? contact us, we work with the best 4 an 5 stars hotels available in Peru choose colonial or modern, there is one for your wishes. Minimum number of people we required to open a group along the year is 2. Just pick up a date and let us know.